Each company (and its related stock) is assigned both a Sector (a broad area of related commerce) and Industry (a smaller group of competing companies) in TC2000. 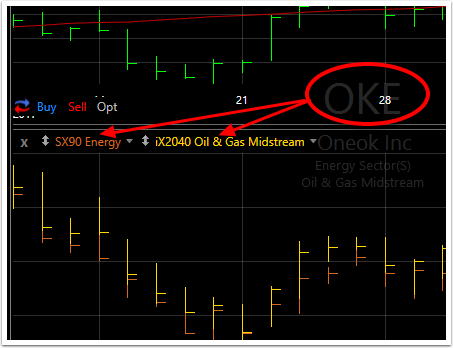 The Sector and Industry Index charts of any symbol can be automatically displayed. Below are the steps to plotting the Sector and Industry of the active symbol. 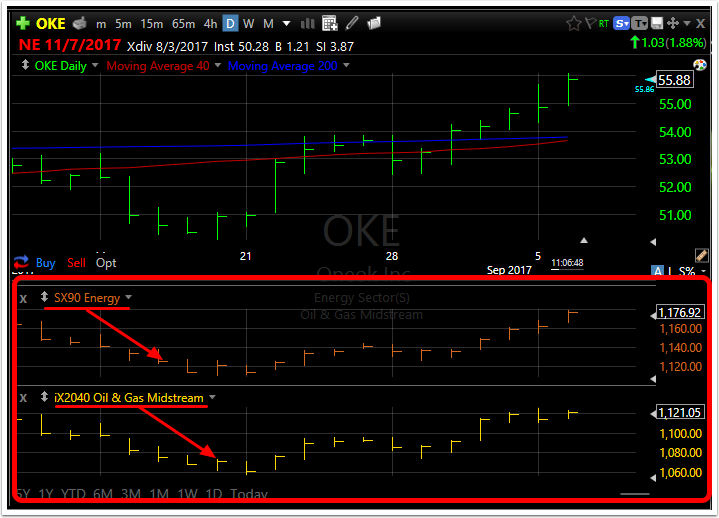 Click the small Factory icon in the top toolbar on the chart. Select Plot Sector & Industry. 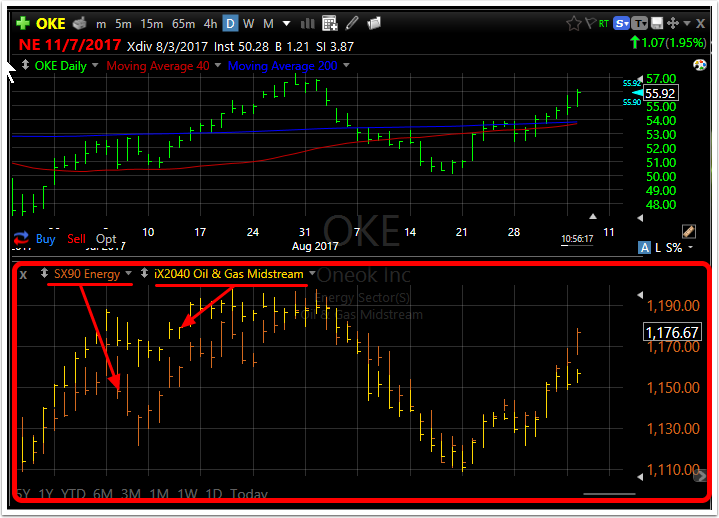 This places a new price pane combining both the Sector and Industry on the chart. When you select/change an active symbol, the correct Sector/Industry plots load automatically. 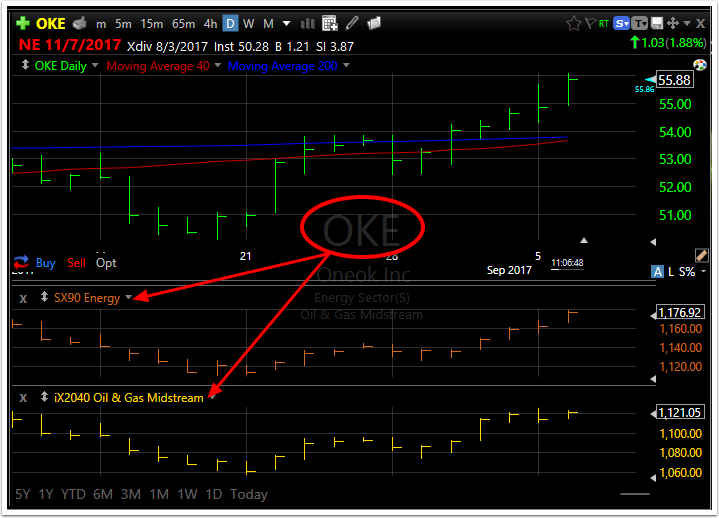 Click the Add Plot button (green plus sign icon) in the top toolbar on the chart. 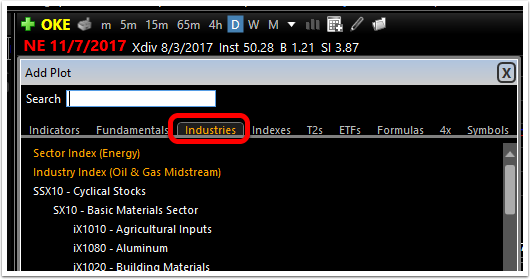 Select the Sector Index or Industries Index link (in orange). 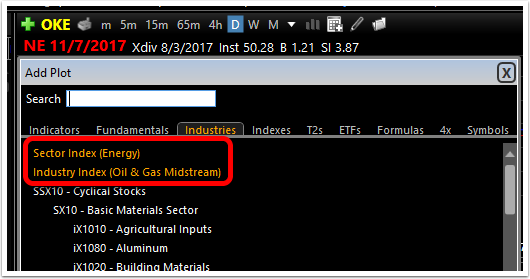 This places a new individual price pane for each of the Sector and/or Industry plots on the chart. Right-click on the chart to get the drop down menu. 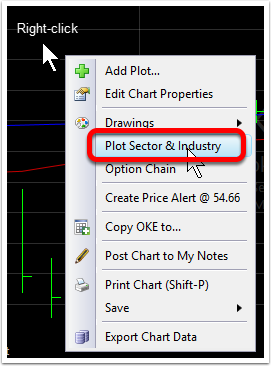 Select Plot Sector & Industry.